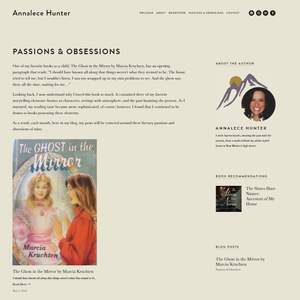 I design websites for authors through Squarespace. My goal is to establish a strong interactive platform that represents who they are and their book. I am an active enthusiast for story-driven podcasts, novels, and social media. I am a Communication and Marketing major from the University of Wyoming. My sales teacher told me the first-day class to sell something you believe in because the work you put in won't ever seem like work. I believe books change the world. They have always offered a different perspective than the ones we grew up with. I pursued books and the publishing industry hoping to get my foot in the door. I worked alongside several Indie Publishing Houses in the Twin Cities and found my experience there. Working in Editorial, Public Relations, Audio and Visual Production, Social Media Marketing, and Website Design. I now design websites for authors through Squarespace. My goal is to establish a strong interactive platform that represents who they are and their book. I am an active enthusiast for story-driven podcasts, novels, and social media. I am a worldly activist and volunteer for the future and education of our children. I love any opening script to a Dateline Murder Mystery episode. Julie Trelstad is a book publishing specialist out of New York City. Together she and a small team that I graciously get to be a part of help fill in the gaps for authors and publishing professionals to meet the challenges that new and emerging technologies present. 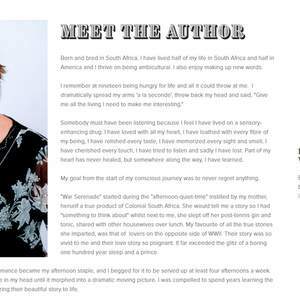 My role at Julie Ink is to build and design authors website through Squarespace. Once their website has been set-up we strategize with the author about their marketing goals. Authors tend to shy away from the limelight on social media. I like to start off by giving them a list of pictures to capture, topics to research and then evaluate with them their stands on the topics they choose. There is nothing worse than not knowing where to find your audience in the sea of content. 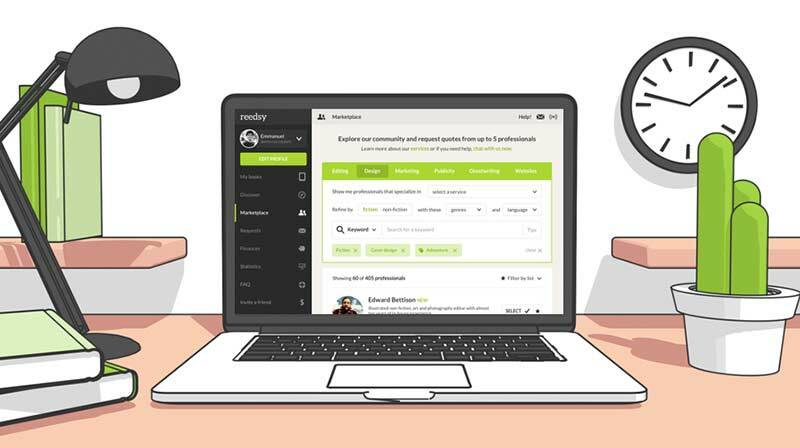 Social media platforms like Twitter and Facebook, the rise of e-book self-publishing, and new data available about online audiences and buying habits have been enormous boons to authors who wish to connect with their readers - We simply help you use these tools effectively. Lisa Harris is a Wise Ink Creative Publishing Author who published her first book Unveiled Beauty back in 2017. Since then she has held numerous fashion shows and women empowerment rallies to boost her book sales and combine what she really loves in life, her passion for fashion and inspiring others. I was hired as a Freelancer to edit the biographies of the models, hair stylists, designers and speakers for each of her shows. The bio's were written by each of the women separately and my job was to create a consistency and flow that would be displayed in their final bio. These would then be posted to all social media platforms, the Fashion Meets Poetry website and flyers during each of the events. Lisa Harris is a Marketing Boss and her constructive critiques have made me a better writer and more direct with my clients. Writing is a biased job. Not everyone is going to think the same way you do when you put pen to paper. But when you are trying to pull the words out of someone else's head, you need patience, a shield of armor, and the drive to get you to your final result. This is the gift Lisa has given me and I have passed this along to other writers and editors. During my time as an Intern, I found myself volunteering for Marketing objective jobs. Our Marketing Director Roseanne Cheng gave me the greatest advice I ever received, 'You showed up. You're already better than everyone out there.' Roseanne has encouraged and allowed me to spread my wings in this industry. Wise Ink hired me after my internship for a variety of contracted marketing jobs including scheduling and creating new posts on social media platforms and monthly blogs, hosting and delegating responsibilities for author outings such as Inside the Authors Studio, and contributing valuable ideas and suggestions for author engagement. Wise Ink has allowed me to become a Freelancer for several of their authors for a variety of Editorial and Marketing services. During my time as an Editorial Intern, I provided comprehensive editing and proofreading services for a variety of print and digital text. I formulated back cover copies for new and upcoming releases. I interviewed and interacted via email our authors about their books and the stories behind them and posted them to the Wise Ink Blog via WordPress. Annalece Hunter is a romantic suspense author living in the San Juan Mountains. Her design is centered around the themes of her book including suspense and the scenery that inspires her most. This is a website I did for an author without a book. He is a speaker and wanted somewhere to direct people to his portfolio. This is my own website designed for Freelancing and personal use. I think it's important to always add some personal flare so your clients can get to know you. I was hired as a Freelancer to edit the biographies of the models, hair stylists, designers and speakers for each of the Unveiled Beauty Fashion Shows. These were then posted to the Fashion Meets Poetry website and flyers during each of the events. This project was a gift to an amazing non-profit camp, Minnesota Aviation Career Education Camp, for which I get to be apart of each year. Since the website has been set up we received triple our application rate and are hoping to start a third camp starting 2020. 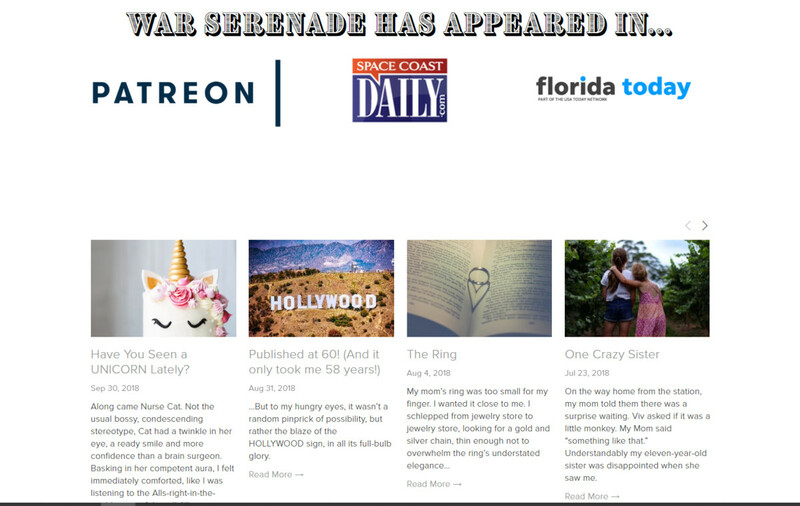 Jill Wallace in a self-publishing author for the Romantic Historical Fiction novel, War Serenade. She offers a different perspective of WWII setting her novel based in South African in a prison war camp. A graphic &amp; web designer fascinated by story. When I'm not getting involved in land wars in Asia, I help authors run their websites. I fix old sites, and keep them running.